I am proud to sell whole and half pastured, heritage hogs to the public. I charge between $3.75 and $4.00 hanging weight for a carcass. My prices fluctuate slight based on my feed prices, but I work very hard to keep my costs low, so I can provide my community with local pork. The hog will be processed at a local slaughterhouse. You will select your own cuts and cuts per package. I warn you though, once you buy pork this way it is very hard to go back! You will pay the slaughterhouse a kill, cut, and cure charge in addition to the hanging weight for the carcass. A common question people ask is how much meat does a hog provide? And it’s hard to answer that. When you select your own cuts there are many ways you can choose to have your hog cut up. I find this PDF is the most helpful. My hogs tend to be closer to 300 lbs at slaughter so you can expect just a whisper more meat than this PDF. I will have beef available this summer. I don’t have prices or a date yet, but I’ll update as I know more. Shoot me an e-mail MegRBrown@gmail.com if you want to know more. Thank you! I am interested in buying your grassfed, fancy beef. Please send me details. I am interested in beef and pork. What is the timeline on both of these? Love what you are doing! Thanks Tanya!!! I’m going to e-mail you tomorrow! I have beef available for this spring but pork will be this time next year. Pingback: The Challenges of Local Meat | Chico Locker & Sausage Co. Inc.
Can you please give me information on your beef as far as prices and quantities, also is it grass fed/grass finished? I sell whole of half beefs and charge whatever current market prices are. I make a huge effort to make it as an affordable as I can. 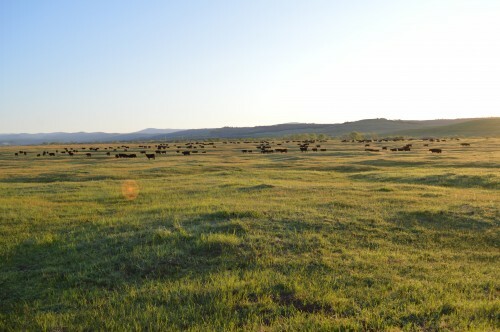 All my beefs have lived their whole life here on the ranch, on grass. Interested in one hog, which would be partnered with family and friends, wondering what the estimated cost might be? Do you sell just half a hog? What would be estimated wt? Do you butcher? If not I may get a person out of Greenville? What would be your time line? my guess is that you do not have any now. Beef and pork for us, please! Just two of us in Sacramento so even going half-hog would be overwhelming. Just have standard fridge with freezer. Any chance of sharing with others or finding a retail butcher with your wattle hogs? I do have a few other people looking for a smaller amount. It’s hard and not as good as a deal, but I’m going to email you directly and hopefully we can work something out! Is it too late for the lamb? Nope, email me at MegRBrown@gmail.com.